Dogs are valuable contributors to society. They help people every day whether it’s in a guide-dog role for people who are blind, as therapy dogs, as police dogs, or more! 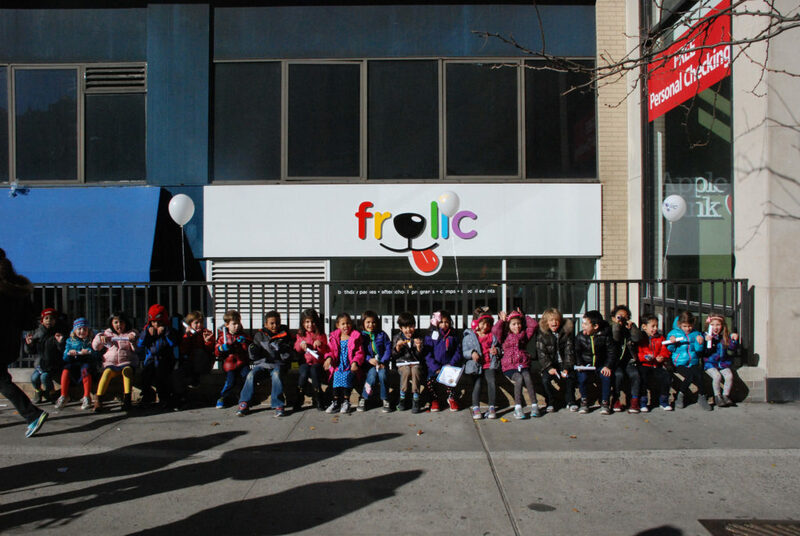 In late December, Frolic hosted kindergarteners from Bank Street School for Kids from the Upper West Side to learn about dogs and the roles that they play in helping people. 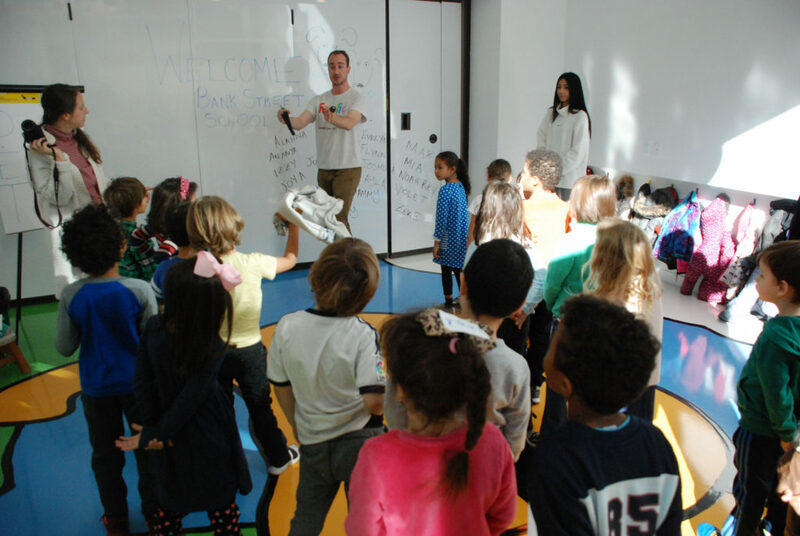 The kids participated in an exercise where they were blindfolded and experienced what it’s like to be a person who is blind. 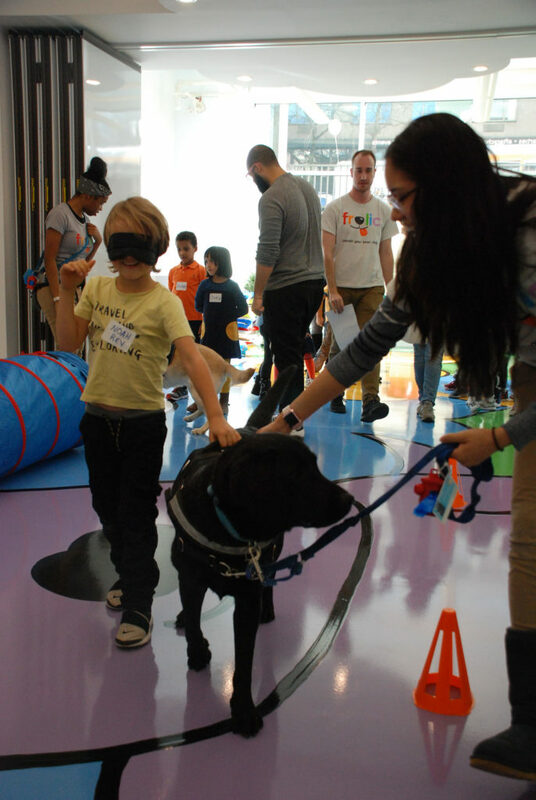 They learned how people who are blind greatly benefit from the help of a kind, hard-working, furry friend! And of course, they pet lots of sweet dogs! 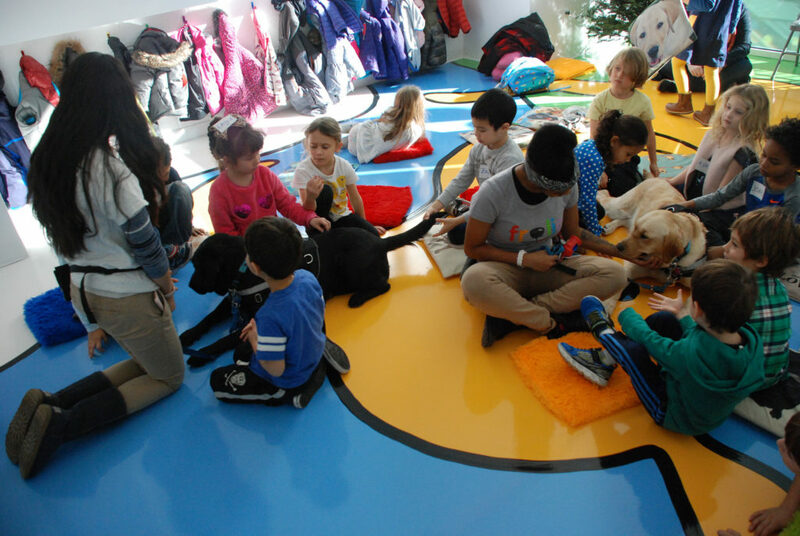 Learning how to treat and love a dog is important to learn from a young age, as caring for dogs can both be valuable sources of love and happiness and a lesson that not only is caring for others right, it is also rewarding. 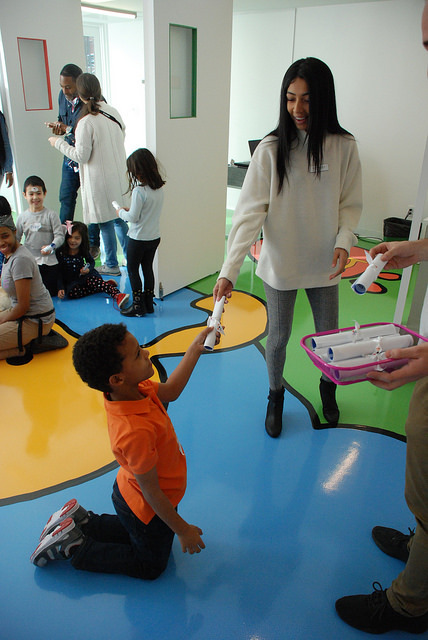 At the end of the day, the kids all received a certificate for completing the program and learning the values that come from interacting with a dog!